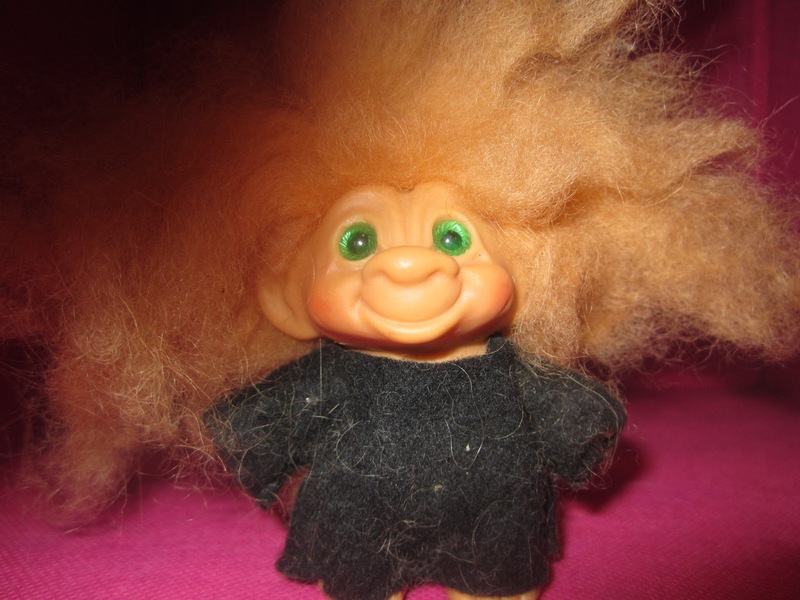 This is an all original vintage 60s or 70s era troll doll. 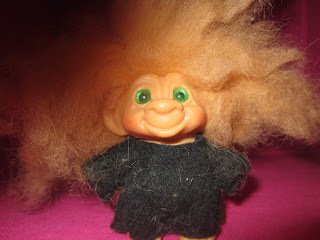 She is complete with felt clothes, green spiral eyes and peach colored mohair. So beautiful!